A few days ago, we talked about the Eric Clapton Cosmograph 6263 that is coming up at auction on May 10. Well, that watch is part of “The Watch Auction: One,” an auction that kicks off Phillips’ involvement in the luxury watch segment of the auction industry (more on that in a future post). There’s a set of four colorful Daytonas that’s also part of that auction. 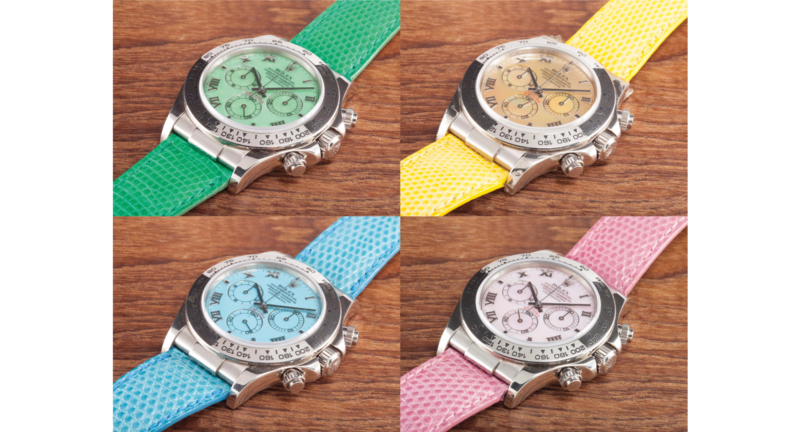 Lot 193 consists of four candy colored watches from the early 2000s, one each featuring a different pastel dial. These ain’t your daddy’s Daytonas. But they might be your mama’s. The yellow and pink dials are mother of pearl. The green is chalcedony (a hard stone, basically quartz), and the light blue is turquoise. 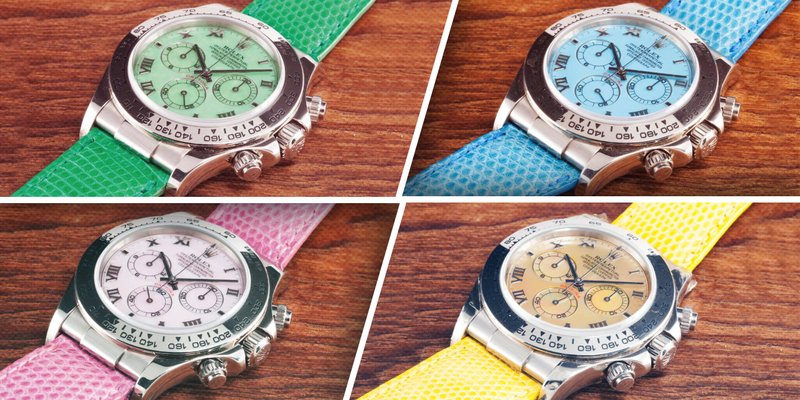 Each watch has a dial-matching crocodile strap. Actually, we were thinking these Rollie chronos might be your mama’s or your sister’s watches, but I can almost hear Phil Collins and Genesis right now, ringing in another episode of Miami Vice.